Tough biker with happy baby. 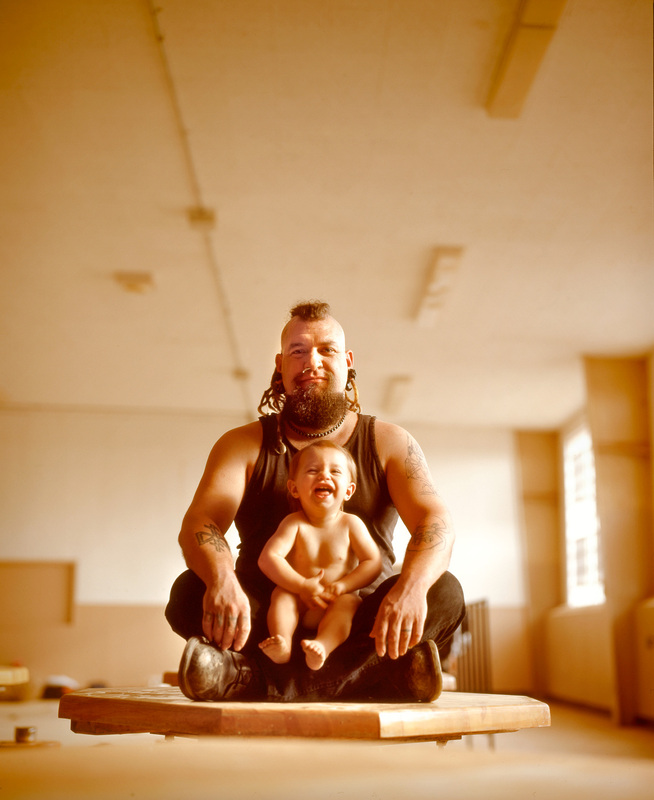 Environmental portrait of a tough biker guy with a happy baby, with dramatic light. Warm toned. You are missed, Shanti.